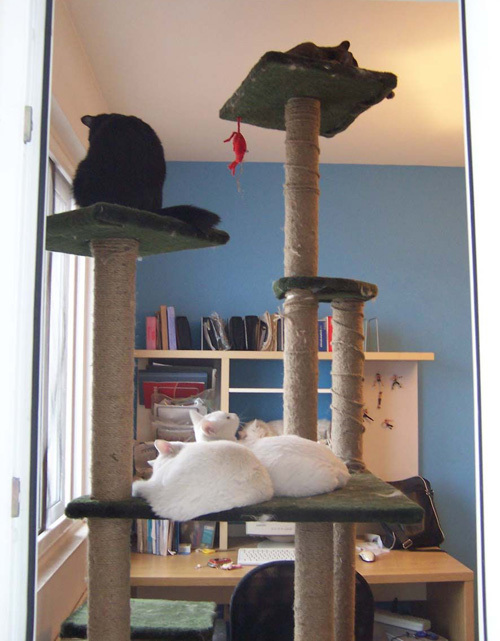 Cat trees provide a great place for your cats to hang out, sleep and play. Even smaller cat trees can be very expensive. 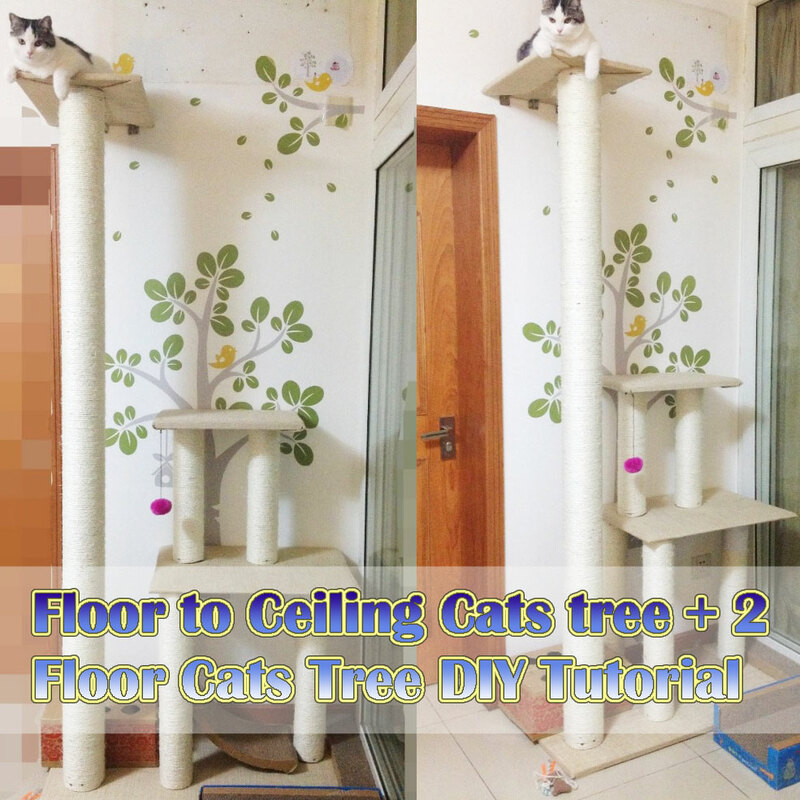 This is a DIY guide about making a luxury cats tree with four floors, which could provides playing places for 3 adults cats. Cat trees, condos, and scratching posts can be some of the most expensive items you'll ever buy for your cat, yet they really enrich the lives of our feline friends. They give cats places to play, areas to claw, and perches from which to view their territories. Cats without these things are really missing out, and you are too, since watching them enjoy their trees and condos is great fun, plus it saves your furniture from being used instead. If you haven’t noticed, the cat trees you available at your local pet store are expensive and, for the most part, not really attractive. Made with cheap carpet in boring colors and designs, they are not caught up with modern cat owners. 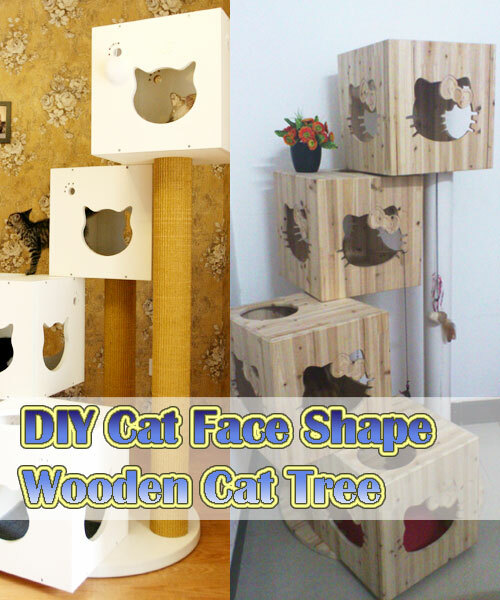 Save money and keep your style by making one of these cat trees,like this blocks wooden cats tree.